With some delay, this was the week that Paul Boratko published a video from his latest Supercar. The same that was published here almost two months ago (Super Deluxe 2) [1, 2]. The description of the model main features you find on the previous post. However the video highlights some of these and it is really nice to see the doors opening mechanism working, whereas a couple of bevel gears on the rear deck lid do the action. Very similar to the rear spoiler which can also be raised or lowered by rolling a small bevel gear between the seats. Nice work also by showing the relation between the selected gear speed and the velocity of the pistons inside the engine. Cars need transmissions because of the physics of the gasoline engine. First, any engine has a redline - a maximum rpm value above which the engine cannot go without exploding. Second, engines have narrow rpm ranges where horsepower and torque are at their maximum. For example, an engine might produce its maximum horsepower at 5,500 rpm. The transmission allows the gear ratio between the engine and the drive wheels to change as the car speeds up and slows down. You shift gears so the engine can stay below the redline and near the rpm band of its best performance. The higher you shift gears the less rpm the motor needs to deliver for the same speed. Finally, we are used to see Paul changing his chrome supplier from time to time, looking for better prices and wider possibilities. 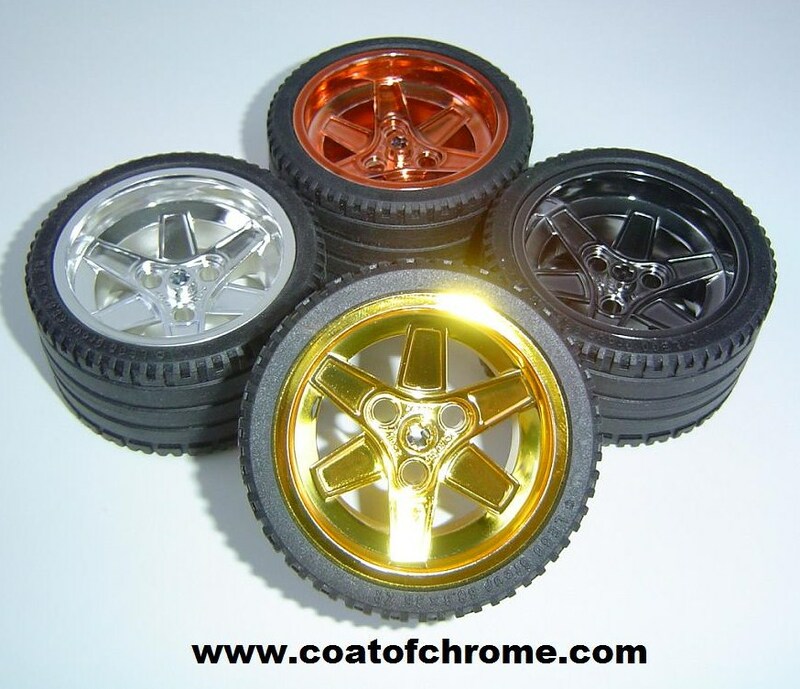 Below, one shot of the latest chrome wheels he ordered from Coat of Chrome.com. These are: Silver, Chrome Black, Gold and Copper. You can however ask for other color tinted shades as well.